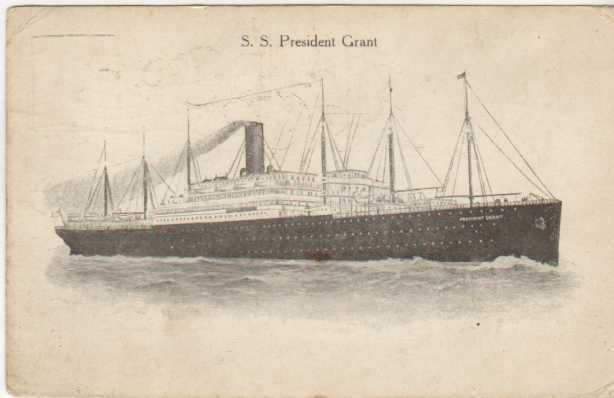 A number of other picture postcards have been seen that depict the troopships that carried US soldiers and sailors to and from Europe. Non-JWB ship cards with the same ship images as JWB cards. They were probably sold by someone who owned copyright on the images, and may date from after the War. 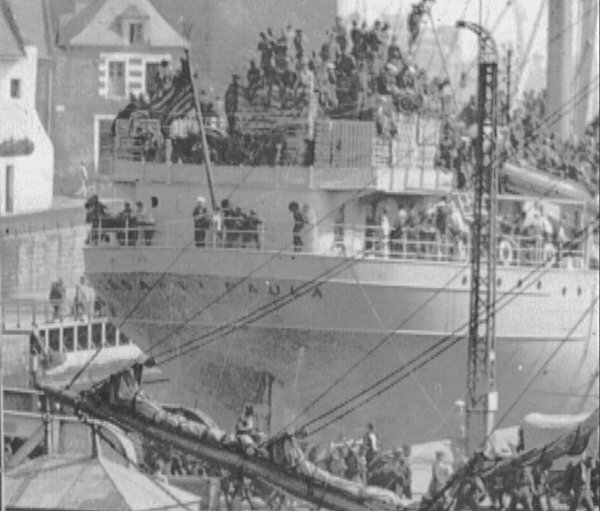 Another example I've seen are the "Ship That Brought Us Home" real photo cards. I have seen a few and have a few in my collection. The link above goes to a listing of these cards that I have built up. 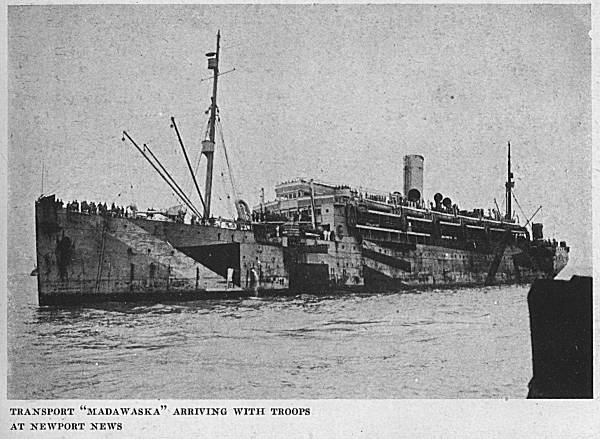 They appear to have been sold to the troops by enterprising photographers, who took photos of the ships at the dock and added the wording "Ship That Brought Us Home" to the photo negative. These cards do not appear to have been issued by the JWB. I have rarely seen these in used condition, which points to them being perhaps an on-dock item sold to the returning soldiers as a souvenir. Some of these photo images were sold in large size (aka "yard long" photos). I have seen these on eBay and own one or two. 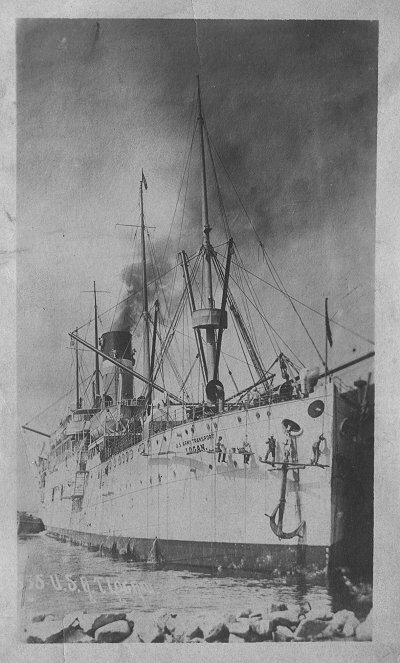 The American Recreation Association (ARA) issued various real photo postcards showing aspects of the overseas trips during the First World War. Some of these cards show the ships. They are not common. 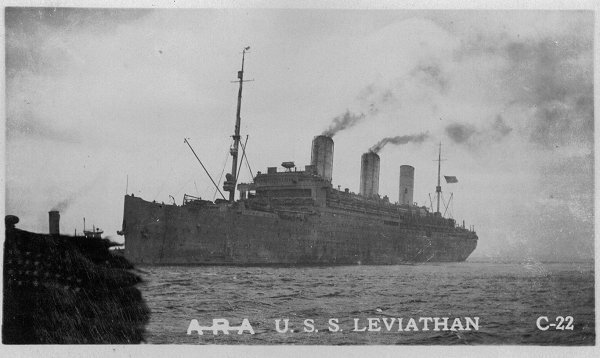 Here is a ARA real-photo picture postcard of the troopship Leviathan . 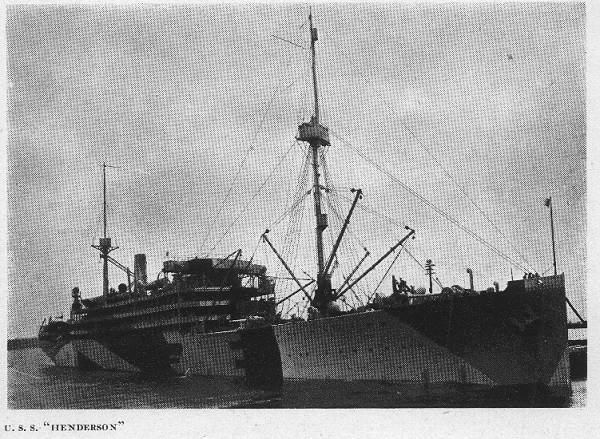 Some of the ships are depicted in picture postcard folders of WWI troopships. These folders have multiple images, usually in a accordian-fold format. 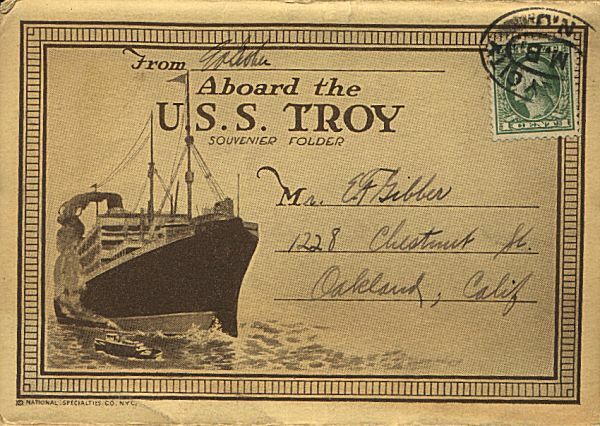 The link above is to the front cover of the folder for the U.S.S. Troy. 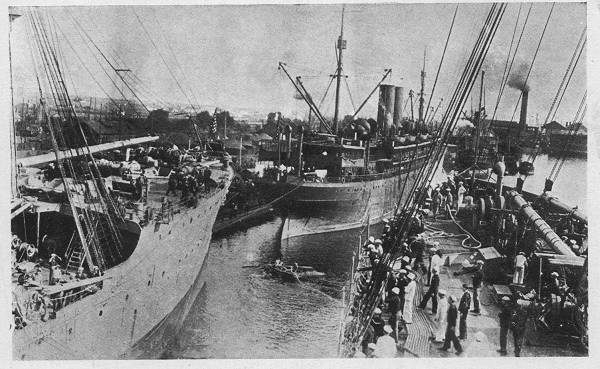 Some of the images from this folder, however, are NOT of this ship, but appear to be of the Leviathan. Publishers of that era were in a hurry to sell something (anything) to a soldier, and these folders may have been "generic" with only a few ship-specific images added. This trend is also seen with the many folders sold at the Army camps in the US. The cover would be reprinted for a particular camp, but the images and contents were not specific to any camp. 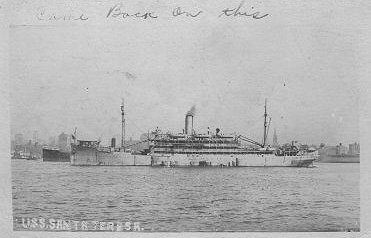 Finally, I've seen a number of real-photo troopship cards that are not identifed as to publisher. 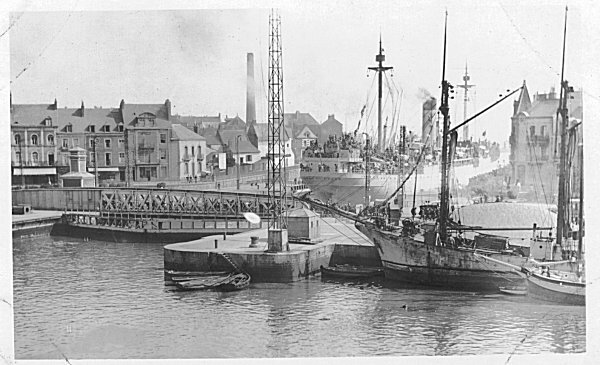 You can search for ships at the Naval History Center. Look for the "search" box on the main page. 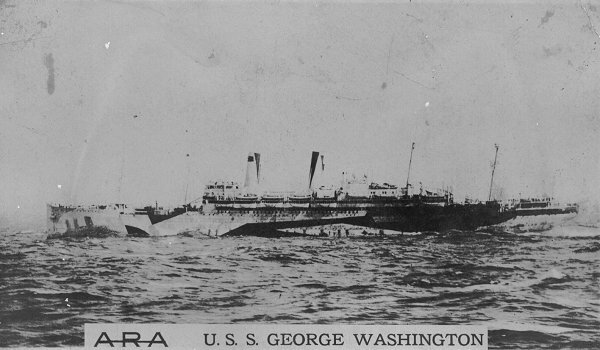 You can search, for instance for such ships as: USS Santa Olivia, USS Pannonia, and USS Kentuckian.